Expect Failure: Only Then You Can Win! After an extended search for new opportunities, there is one thing you can expect; something guaranteed to happen at one time or another. You are going to FAIL! The principle is this: never start a new project—a job search, exercise program, business venture or anything—without expecting failure. Yes, that’s right—to succeed, you MUST fail first. Failure is common, something that should be expected. In fact, it is almost as useful in your life as success. We all learn from adversity, especially those who are entering a competitive job market—either through career change, graduation or job loss. This attitude about failure could be applied to any time of your life where you need to develop and improve—spiritually, emotionally or in a career. I know that might seem a little confusing. I agree, hearing it the first time can be counterintuitive—to say the least! However, with a little consideration, it does make sense. “Expecting failure” means this—when you understand the constraints in your life, you don’t stop growing as a person. You change. You grow. You rise-up and challenge; developing personal skills necessary cope with and overcome failure. These skills are what human resources professionals call “soft skills,” the strength of character and personality that has become necessary to working in any organization. More hiring manages and human resources professionals consider the soft skills of a candidate—often more than education and training. Hiring managers, when faced with several qualified candidates, often choose the contender with the greatest potential. That is a habit directly related to the way a person will beat the times of failure in their lives. Before any of this can happen, though, you must be aware of the boundaries drawn in your character. There must be a measure of mindfulness—even just a sense—of what restraints exists in your life. Every person should know their limitations. Because when you do—and only then—you can start moving beyond them. If an individual does not fail—in a road race, a basketball game or a job search—they will NEVER develop. This is one of the most basic tenets of exercise—a muscle stops developing, unless pushed nearly to the breaking point. This is especially true in a job search—you have to force yourself! Self-awareness of limitations cannot come from others. It is not something for other people to outline. Nor should anybody ever say you will not win. That attitude is inappropriate, disrespectful and hurtful to true success. Limits, in life or career, are lessons only learned within ourselves. Genuine success originates from failure; it grows from the fertile soil of lessons learned from past disappointments! It all boils down to this; on occasion, you SHOULD fail. Expect failure; live with it, accept it as a part of life—then quickly move to the next challenge. After that point, you will have no choice but to succeed! More Than a Job Search: Tips For The Career of Your Dreams! 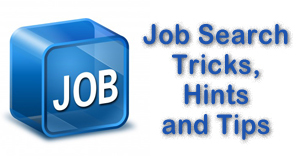 Next ›Job Search Stuck In Neutral? Do This NOW!